While working on the ChaosKey UEFI driver, I once again found myself in a situation of tedium: how to simplify driver development when the target for my device driver is firmware. Moving around a USB key with a FAT filesystem may be a completely valid thing to do in order to install a pre-existing driver. But when you are trying to learn how to write drivers for a new platform (and write blog posts about it), the modify -> compile -> copy -> reboot -> load -> fail -> try again cycle gets quite tedious. As usual, QEMU has/is the answer, letting you pass a USB device controlled by the host over to the guest. If it does not, under Debian, $ sudo apt-get build-dep qemu should do the trick - anywhere else make sure you manually install libusb v1.0 or later (Debian's libusb-dev package is v0.1, which will not work), with development headers. Without libusb support, you'll get the error message 'usb-host' is not a valid device model name when following the below instructions. Once your QEMU is ready, in order to pass a device through to a guest, you must first locate it on the host. The vendor ID (1d50) of ChaosKey is taken from the OpenMoko project, which has repurposed their otherwise unused device registry space for various community/homebrew devices. (in this case /dev/bus/usb/008/002) has suitable read-write access for your user. Unlike the x86 default "pc" machine, QEMU has no default machine type for ARM. The "generic virtualized platform" type virt has no USB attached by default, so we need to manually add one. ich-usb-uhci1 supports high-speed, and so is needed for some devices to work under emulation. Using the "virtual FAT" support in QEMU is the easiest way to get a driver into UEFI without recompiling. The example below uses a subdirectory called fatdir which QEMU generates an emulated FAT filesystem from. AARCH64_OPTS="-pflash QEMU_EFI.fd -cpu cortex-a57 -M virt -usb -device ich9-usb-uhci1"
COMMON_OPTS="-device usb-host,bus=usb-bus.0,hostbus=$USB_HOST_BUS,hostport=$USB_HOST_PORT -nographic -net none -hda fat:fatdir/"
Note: Ordering of some of the above options is important. Note2: That AARCH64 QEMU_EFI.fd needs to be extended to 64MB in order for QEMU to be happy with it. See this older post for an example. Shell> y (0x1D50:0x60C6) is my homeboy! And, yes, those last three lines are actually read from the USB device connected to host QEMU is running on. One thing that is unsurprising, but very cool and useful, is that this works well cross-architecture. So you can test that your drivers are truly portable by building (and testing) them for AARCH64, EBC and X64 without having to move around between physical machines. Oh, and another useful command in this cycle is reset -s in the UEFI shell, which "powers down" the machine and exits QEMU. Having just come across a hardware random number generator called ChaosKey, I figured this would make an excellent candidate. Since UEFI drivers are meant to be standalone buildable, they tend to be kept in separate directories. Since this driver is intended to run during/after DXE phase, let's put everything in a directory called ChaosKeyDxe (CamelCase mandatory - link takes you to the directory in git, where you can view the files directly). First of all, we need a build information file (.inf). The format of the build information file is described in the EDK II INF File Spec, which can be found in the EDK2 github pages. The INF_VERSION reflects which version of the INF file format is being followed, in this case 1.25 (0x0001.0x0019). Interestingly, nearly all build information files I have come across before specify 0x00010005 ... cargo culting from earlier examples. Followed by BASE_NAME, the single word identifier used for this component. To keep things simple, I'm reusing the directory name, for the same reasons. And then a FILE_GUID, generated uniquely for this file - for example through this online generator, ensuring Uppcase and Hyphens are both ticked. If this string is copied from an existing template rather than uniquely generated, really bad stuff will happen. And then MODULE_TYPE to tell the build system we are producing a UEFI_DRIVER. A VERSION_STRING is also required - this is simply a UCS2 string indicating the version of the driver. The ENTRY_POINT function is automatically called at driver load time, and needs to contain code that registers the driver with the system, and do any other global setup needed to make the driver ready to set up individual devices. UNLOAD_IMAGE points to the function cleaning up after the driver when it is to be unloaded. This is not really mandatory for a driver expected to be used for booting the system (it will be discarded by the operating system anyway, unless it takes specific actions to keep bits resident), but it comes in very handy for development. The build information file usually includes a (commentary only) stanza stating which architectures the executable is expected to work on. The remainder of the file simply specifies which source files are used to build the driver, which declaration files it uses (MdePkg/MdePkg.dec), which library classes it needs (resolved into specific libraries by the build description file) and which protocols it consumes. Since we are not yet implementing any actual functionality beyond discovery, the only C source file added at this point is DriverBinding.c. This all comes down to implementing an instance of EFI_DRIVER_BINDING_PROTOCOL. Let us go through that, function by function. All the entry point function does is register the protocol instance, as defined in the gUsbDriverBinding struct, with the system - and return EFI_SUCCESS, printing an informational message as it does so. The gUsbDriverBinding struct contains pointers to the Supported(), Start() and Stop() functions defined by the protocol, as well as a Version number which lets UEFI pick the most up to date driver if multiple are available. When a new device is detected in the system, UEFI will ask all of the plausible drivers whether they know how to deal with it, by calling their Supported() function. This implementation is probably one of the few bits of this driver that is pretty much feature complete - all it really needs to do is to find the USB manufacturer/device IDs and see if they are ones the driver knows how to handle. It then returns EFI_UNSUPPORTED if this is a device it does not support, or EFI_SUCCESS if it is a device it supports. Start() and Stop() are left empty for now, returning EFI_UNSUPPORTED whenever they are called. This is something that will be filled in in part 2 of this series. Finally, when (if!) we unload the driver, UnloadImage() ensures that the bits that were registered by EntryPoint() are unregistered again. For this example (and because Juno's built-in magical program-over-USB filesystem is insane), let's load the driver from a USB key. For simplicity's sake, have it plugged in when powering on and drop into the UEFI Shell. In my case, the USB key ended up as filesystem FS2:. You can see how the driver is loaded, and has the driver handle number 9E. FS2:\> ChaosKey (0x1D50:0x60C6) is my homeboy! We can see how the Supported() function is invoked, and we then see an error message. The error is triggered by our empty Start() function returning EFI_UNSUPPORTED when UEFI attempts to bring the device online. We'll fix that bit in part 2 of the series. During development, it can be handy to be able to load/unload without a full reboot. To do so, just call unload with the driver handle you got from the drivers command. Add the -v option to get some extra output. Unload - Handle [FC990598]. [y/n]? Unload - Handle [FC990598] Result Success. You can also verify the unload was successful by running drivers again, and seeing this driver no longer listed. As some of you may know, one of the main points I have been pushing for over the past couple of years has been the availability of reference code for real platforms. Given that historically, firmware source code has simply not been available for UEFI-based computers, resolving this has been no trivial exercise. I am also currently working with Semihalf to get support for Marvell Armada 7040 in. A warning for the purists - I have not been mandating that the entirety of the platform support is provided in source form. But we do now have a tree which can be used to rebuild against newer versions of upstream EDK2, and I do mandate that each platform adds some open source bits. We have been working with AMD over the past few months to provide a port based on the official Seattle Firmware Development Kit (FDK) - the same that is used for the commercial firmware shipped on AMD Overdrive and Softiron 3000 platforms. Since this was never originally designed to be used in an open source context, it has included the relicensing of header files and some restructuring to permit simple rebuilding of the binary modules for new FDK releases. So this new port comes with some blobs - BUT it does bring source code for ACPI, SMBIOS, (non-PCIe) SATA controller, Hardware RNG and overall platform initialization. And of course it reuses some existing open source drivers available in EDK2. From a personal perspective, this means I can now with a quick turnaround test new EDK2 core changes on my Overdrive. This being a platform with all of its RAM > 4GB, it has also helped flush out some incorrect assumptions in core EDK2 code (and a Linux driver or two). We actually got most of the way towards a port for the D02 platform back in December - enough for me to agree to post it as a public branch on the main OpenPlatformPkg repository. But I still had a fair amount of things I wanted improved style wise, and the Hisilicon engineers were under pressure to provide a port for the newer D03 platform as well, so spent a few months getting this up and running. But contrary to the story we have seen many times (with many different vendors) in the mobile space, once they completed this they came back. 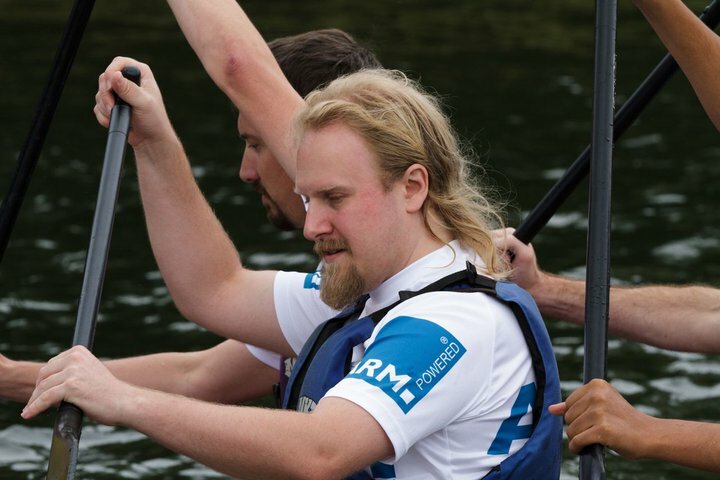 and put a big effort responding to review feedback to ensure both platforms could be merged simultaneously during our reference platform sprint in Cambridge (UK) last week. Well, Tianocore has now obtained a more standardised (and public) change process, and there is currently a proposal underway for how to support platforms in official repositories: http://thread.gmane.org/gmane.comp.bios.edk2.devel/11624 With a bit of luck and some hard work OpenPlatformPkg can become redundant the year after it was introduced! I have also had a few more contacts from people looking to provide ports for upcoming (and existing) platforms, so there should be some more to show later in the year. I wrote in previous posts about QEMU and how to run ARM UEFI on it. So, as I wrote in Foundation Model - a line in the sand?, a lot of things have changed in the underlying platform for the ARM Foundation Model for ARMv8. So I thought I would describe how to set one up ... on the right side of the line. First of all, you need to download the ARMv8 Foundation Platform - which requires registering for an account on the ARM download portal. Extract the archive to a suitable location. The recent versions of Foundation Model are actually software compatible with the FVP Base model. The "Foundation_v8" image does not work on these, and since Linaro 2014.09, we have renamed that platform "foundation_legacy". Secondly, the "fvp" UEFI build (like the Juno one) now expects to be loaded by ARM Trusted Firmware. So I've updated our build scripts to deal with this in a mostly automated fashion: uefi-build.sh has a new parameter -a to specify the location of an ARM Trusted Firmware checkout. It will then, based on configuration options in platforms.config, build UEFI, build ARM Trusted Firmware into a bl1.bin image, and then package the UEFI image with additional Trusted Firmware components into a fip.bin image. Of course, you can also download our pre-built monthly release images, and skip the build instructions. Now grab the bl1.bin and fip.bin from Build/ArmVExpress-FVP-AArch64/DEBUG_GCC48/FV/ (or download them), and launch the foundation model. disk.img is an optional parameter for adding a virtio block device image file, to use as a local filesystem. For very basic UEFI, GRUB or Linux kernel testing, it can be omitted. We specify that bl1.bin (the Trusted Firmware system startup code) and fip.bin are loaded into RAM at predefined locations. We also specify that we use the GICv3 variant of the modelled system, which affects the memory map. Currently the EDK2 code still puts this GIC into legacy mode, but without --gicv3 it will look for the interrupt controller registers in the wrong location. --cores=2 is not necessary, but makes the model emulate just 2 cores rather than the default 8 - which makes the model run faster while still letting you have fun with software concurrency. One really useful thing that happened at Linaro Connect last week was that Ard Biesheuvel managed to complete the port of UEFI to arm and aarch64 QEMU. This has been a component missing for us to enable what is really the standard development environment for most Linux devs. Ard has documented this on the Linaro wiki, but I wanted to (a) put this into an rss feed and (b) have a static set of instructions. Also, I've added the platforms to the uefi-tools platform configuration to make building a bit less tedious. Earlier this year, without the noisy announcement it deserved, we finally got AArch64 system support in QEMU. User mode emulation had been available for quite some time at that point, and had been really useful for the Linux distributions' bootstrapping efforts, but did not help the kernel and firmware developers. The required patches to EDK2 are already upstream, so the only requirement is that you have a working cross compiler. I am using a Linaro 4.8 gcc prebuilt one. So, due to yours truly messing up, this support was not included in Linaro's 2014.09 release (the source code contains the support, but the pre-built images are missing). However. I kicked off a build just after and produced a debug and a release version. One nice thing about working for ARM is that once every four years, you get four extra weeks of holiday in a year - called a sabbatical. Especially with the British scepticism with regards to longer normal holidays, this makes for a very welcome break. Last time I spent those weeks working in the garden, helping rig the Cambridge Beer Festival, attending the Cambridge Beer Festival and helping tear down the Cambridge Beer festival. Being in my 9th year of employment with ARM, I now have my second one coming up, and I'll be spending it with Maria in the US, traveling aound a bit. We will start out in San Francisco, before flying over to Denver, drive up to Estes Park (and stay there for just over a week), and then back down to Boulder. Then we commence the road trip: to Colorado National Monument, Zion National Park, Monument Valley, Durango (taking the narrow-gauge railway to Silverton), Las Cruces (New Mexico Chile Pepper Institute), Big Bend National Park, Fredericksburg and arriving in Austin where we hang around and meet up with various friends. Then flight back to SFO and straigt onto Linaro Connect. Foundation Model - a line in the sand? When ARM announced its 64-bit architecture, this was eventually followed by a free (as in beer) software model of that architecture. This model is called the Foundation Model, and although somewhat of an unwanted stepchild next to the commercially available (read expensive) FVP Base model, it is periodically updated. Unfortunately, these updates are not just feature additions and bugfixes - there have also been substantial changes to the platform in the shape of memory map modifications and the introduction of GICv3 support. And finally, on the platform software side, both support for UEFI and ARM Trusted Firmware were added substantially later than the Foundation Model was released. And they have changed over time to accomodate the changes in the model. What this means is that it has not been possible to keep a stable development platform while also being able to update model versions and firmware. I think what is needed is to draw a line in the sand not too far back and make sure everyone developing on the Foundation Model use a minimum version of everything, and a standardised configuration. That is what I am trying to provide with this post. But aside from complaining, there has also been various software features added that in themselves motivate an upgrade in order to simplify doing the right thing. So, where is that line? ARM Trusted Firmware v0.4 New-ish? UEFI Linaro-edk2 2014.06, or corresponding upstream Fixes for making efibootmgr functional from within Linux. Linaro build includes a built-in DTB. Furthermore, in order for this all to work, Foundation Model must be called with --gicv3, or UEFI will fail to boot properly. Also, the DTB provided with mainline Linux does not function at all with modern versions of the model. If you don't use a UEFI image that provides you with one, the only place you can find one is in the ARM Trusted Firmware tree, under 'fdts/'. fvp-foundation-gicv2-psci.dtb is a safe bet (since the GICv3 implementation is backwards compatible). 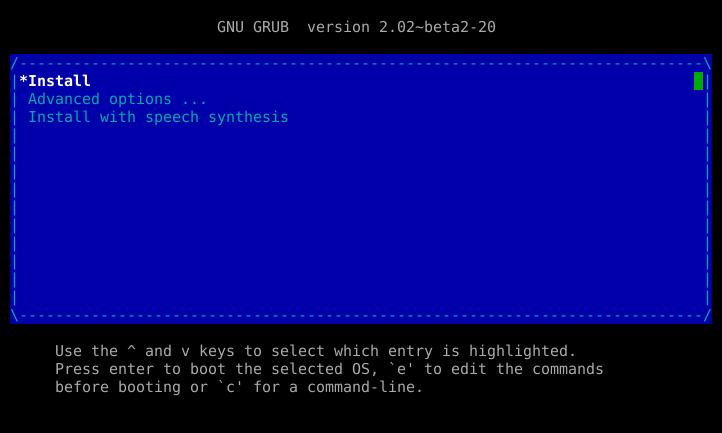 If you want to use GRUB, 2.02~beta2 contains full support for arm64 UEFI platforms. Apart from this feeling a bit ... cargo-cultish, it poses an actual problem if one wants to not use MBR partitioning on the device - since the ROM code loading this MLO only supports that partition table format. In my case, I wanted to use GPT partitioning. Turns out there is actually a pretty easy way of doing this - only the information is not found in the Beagle docs, but in the SoC (Sitara 335x) Technical Reference Manual: In raw mode the booting image can be located at one of the four consecutive locations in the main area: offset 0x0 / 0x20000 (128KB) / 0x40000 (256KB) / 0x60000 (384KB). This ends up quite sufficient for us, as the amount of partition table space required for UEFI compatibility is only 16KB, so as long as we don't use the slot at offset 0, we're good. Also, the partitioning tools I've tried all put new partitions at an alignment of >= 2048 LBA blocks (512 bytes). This puts the first actual partition at 1MB, which gives us lots of free space at any of the three other offsets. However, why be silly? We use the 128K slot and have plenty of room. But ... where did that MLO come from? Adds the platform target am335x_evm_uefi. Adds CONFIG_EFI_PARTITION to MLO (referred to SPL in the code). Changes the default boot filename to "boot.img" instead of "u-boot.img". Uses the FAT filesystem boot mechanism even though we are booting through what is known as RAW mode, which would otherwise look for the kernel at a fixed offset. Now partition a uSD card in GPT format using, for example, gdisk - making sure the first partition is some kind of FAT. Then write MLO to the card as described above, copy a firmware image (for example the UEFI port underway by Varad) into the FAT partition as boot.img. Insert into BBB, hold down the "user boot" button and power on the board. It should launch the boot image automatically. When I have some time, I'll put together a method for performing a "raw" boot from the eMMC, to get rid of the need to keep holding that button. Well, I did sort of start writing some blog posts last year, mainly about technical stuff that might be useful to others (and to myself when I forget). But at some point my MovableType installation became a bit ... confused ... and at the same time the company behind MovableType started seriously de-emphasising the opensource version. So I decided to have another look at blosxom, recommended by Steve, which is a very no-frills approach to blogging. I'm liking it, and hope this extremely basic design will mean I actually post more. Hopefully I won't be too lazy to migrate my old posts across, including some unpublished ones. So ... sometime last year I ordered a SmilePlug from http://globalscaletechnologies.com/, and it arrived at some point early this year. Hardware-wise, it is a really neat piece of kit that I was intending to put to use as a very configurable home router/firewall; it has 2x1GBE and an ARMv7-A processor + 512MB of RAM. Of course, being Marvell-based, source-code availability and system documentation was a few miles south of sufficient, and unfortunately, it ended up lying in a corner for the greater part of the year. However, the guys at Free-Electrons have managed to get to main parts of the Armada 370 support (including the smileplug's sister-platform 'mirabox') into mainline Linux, so I decided to have another go. What I haven't managed to do yet is read the kernel off uSD, so for now, I boot it via TFTP. QEMU supports exporting a directory structure in the host machine filesystem as a block device containing a FAT filesystem. If you think about it, that's pretty much magic. This is *really* handy for kernel (U)EFI feature testing, since it means I can just throw a Linux kernel (with an EFI stub) into a directory and then be able to boot that from within the UEFI running in QEMU. So, in order to test an x64 Linux kernel with my build of upstream Tianocore UEFI, here is what I do: First, I build a kernel with an EFI stub (to make it directly executable from UEFI). Voilà! You now have a kernel image, loadable either as a plain old bzImage, or executable directly from within UEFI. You can copy this image into the EDK2 build output directory, which will make it appear within *fs0:* in the EFI shell. You need to also rename it, giving it a ".efi" file ending, in order for it to be executable by the shell. ... you should end up with the penguin and a whole bunch of normal kernel boot messages, up until the point where it crashes and burns horribly because you haven't told it where its root filesystem lives (silly!). Fortunately, this is easily done - you just pass paramaters to the kernel as if it were any other command in the EFI shell. However, you of course need to have some filesystem to point it to. Now, in order to boot to a prompt, I still need a minimum of an initrd - but since I'm doing things like bootloader experiments, I probably want a full filesystem. So I generate a Debian disk image (since my workstation is an x64 Wheezy. efibootmgr -c -l \\bzImage.efi -L "EFISTUB" -u "$(cat /proc/cmdline)"
Update again: doh! That auto-booting is only persistent over reboots - not over actually shutting QEMU down. UEFI is a portable platform firmware standard, although in practice it has up until recently been used only on IA64 and amd64/x64 platforms. The opensource implementation (tianocore edk2) includes support also for ia32 and ARM (aarch32) platforms. I develop for the ARM platform, but I sometimes need to verify my work on other platforms. Since I cannot really keep reflashing my Linux desktop machine every time, I need to use an emulator such as QEMU for testing. This is possible thanks to the awesome feature called OVMF which is included within the Tianocore EDK2 source tree. Inside the OvmfPkg directory inside edk2, there is a build.sh script which umm ... either builds a UEFI image or boots said UEFI image in QEMU, depending on how it is called. It still needs a minor bit of fiddling to make it work, but this takes care of all the actually hard bits. So I'll focus on documenting the "easy" bits (which are only easy if you know them). The script tries to auto-extract toolchain config from the current environment, and ends up most upset since there is no GCC47 toolchain in the build config. We must specify the toolchain here even though we are not building anything at this point, because the script deduces the path under `./Build` where the generated firmware image can be found, using the toolchain name. QEMU might complain about some missing ROM files at this point. If you wish, symlink them in from your system's QEMU ROM directory (in my case `/usr/share/qemu`) to the directory where the script places your UEFI ROM (in my case `./Build/OvmfX64/DEBUG_GCC46/X64`). My image ran successfully without any such modifications though. If you do nothing else, your image should launch, displaying a Tianocore logo, some boot diagnostics, some attempts to boot using various facilities and then falling back to launching an EFI shell since no such facilities were provided by the above configuration. I will follow up shortly with a post about modifying disk image files and playing around with testing kernels under the resulting system (my original reason for looking into this).